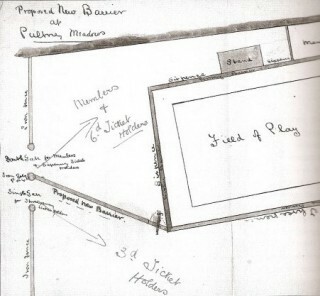 The field of play allocated to Bath when they moved to the Recreation Ground in 1894. It is on the East side of the Ground, as far away from the river as possible – unlike the current field of play. This page was added on 17/03/2015.